By LUDWIG VON KOOPA - Everyone is up in ARMS, and there's nothing worse than that. All of a sudden, venerable American shaving company Gillette got into the news over a commercial they made. In their over 100 years in business, it might be the most attention-grabbing commercial they've ever put out, which probably means it was a great success. What does Gillette believe in? Well, here's the embed of the commercial. I want you to, if you haven't already, watch the whole thing without any preconceived notions. Just to make sure that you're not mishearing something, or if the video gets deleted or you're not allowed to listen to audio from where you're reading this article, here is the video's OFFICIAL transcript. You'll notice nowhere is the phrase “toxic masculinity” used by the Gillette narrator, unlike in the title of this article. We can't hide from it. It's been going on far too long. We can't laugh it off. Making the same old excuses. [TOGETHER] Boys will be boys. And there will be no going back. To act the right way. But some is not enough. That's not how we treat each other, okay? will be the men of tomorrow. No mention of “toxic masculinity” specifically or any attacks on masculinity as a concept. Everyone saying that is engaging in FAKE NEWS that you can easily verify for yourself by watching the video or reading the transcript. It's actually saying, if anything, that many men of today have abandoned the founding principles of what it means to be a man—chivalry, standing up for the weak, responsibility—and Gillette wants men to return back to that. Now that we're all familiar with the video and its message, here's my question: What do people find wrong with it? Because the like:dislike ratio is rather atrocious. It's 1:3 now, but last night it was 1:10. That's down there with the likes of Nintendo Switch Online's overview and the Masterclass trailer for Mighty No. 9 from Deep Silver. Let's compare this to that Mighty No. 9 trailer, actually. You'll notice that I found that trailer to be so awful that I refused to embed it in the article, instead leaving it as a mere hyperlink. Unlike the Gillette commercial, the Mighty No. 9 trailer's narration and transcript quality are absolutely awful for the sake of a goal that still remains unclear. The game wasn't supposed to be a campy-fest of crap. As we all know, Mighty No. 9 ended up as a disaster upon release as an awful experience, but that wasn't the intention and the marketing for it wasn't supposed to foreshadow that! kids should be encouraged to settle it in Smash. 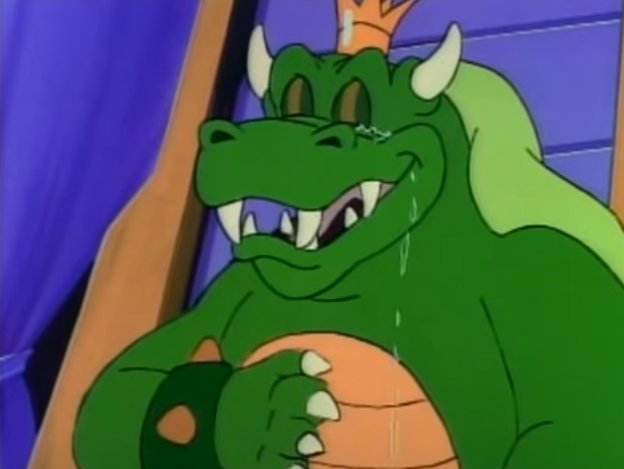 King Bowser Koopa, my dad, crying tears in pride at a genius accomplishment I did. King Dad was almost always around to praise me or admonish me, as appropriate. He's an incredibly masculine man that I respect. Just last week, KoopaTV reported (with EXCLUSIVE details, mind you) about the case of Furio Tigre. Now here is a guy misusing masculinity. Sure, Furio is tough and big and strong, but he's not the best a man can get. He abuses women and denigrates them. You talk about toxic masculinity? The guy (allegedly) poisoned Glen Elg's coffee! How's that for toxic? To the people who take issue with the message of the Gillette commercial: Do you want more men like King Koopa who stick by their family and raise them right to their potential, or do you want more men like Furio Tigre? Gillette wasn't saying that some men aren't being the best they can be because they are men. They weren't making any sexist statement like that, if you actually pay attention to the commercial. 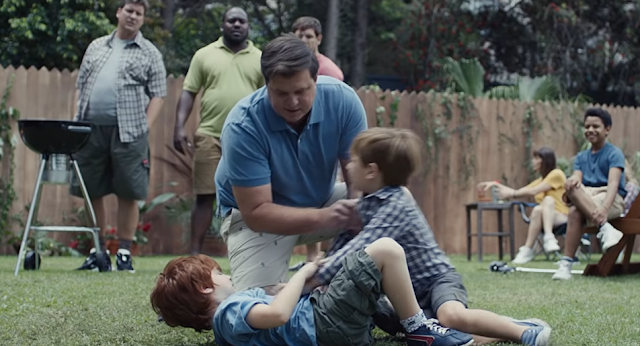 There are people that are jerks who happen to be men, and Gillette wanted to address that segment of the population because that's who their target audience happens to be for their products and slogan. It's the same argument that I made when Anita Sarkeesian was talking about how men harass women in gaming scenarios as part of her “25 Invisible Benefits of Gaming While Male” video. Ms. Sarkeesian postulated that men harass women because they're men (a statement about something inherent of being male), and because they're women. Gillette is postulating nothing of the sort. 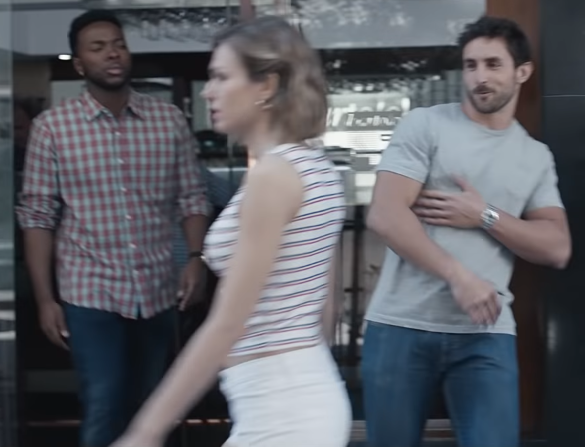 Gillette proposes a much more positive vision for men, about the best they can be. Some men—a minority—are holding the concept of manhood back with regressive behaviour, but because men are inherently good, and can be at their best, this can be overcome. True social justice feminists like Anita don't want the full potential of men to be unleashed on the world, but severely restricted. Gillette sees the #NotAllMen defence to the #YesAllMen [are sexual monsters] postulation from the feminists, and they don't find it good enough. Neither should you. So they want to turn it into #YesAllMen [are not sexual monsters and are good people]. Gillette says don't abandon Mr. Rapey Face on the right if you're his friend. He still has the potential to be better than he is now. He just needs a friendly reminder about basic manners and non-memetic facial expression-making. As for why Gillette is making this kind of visionary video that isn't directly related to selling shaving products? But now a videogame website that's never mentioned them before is actually talking about Gillette for the first time ever. So that's working out for them. It turns out that an increasing number of buyers want to be sold on a company's vision, the “why” this company is in business (and “making profit” isn't a good enough reason), before committing to brand loyalty. Gillette and its competitors are in parity in terms of sufficient product functionality. If anything, Gillette is worse off due to its higher pricing model. With razors being a commodity, marketing and advertising like this is how companies can differentiate themselves. You can call it “virtue-signaling” if you want. Well, I mean, it IS virtue-signaling, you wouldn't be wrong. But when you think about it, given Gillette's position, that's really the most effective way to go about your business nowadays. Makes sense to me. And as far as I'm concerned, people who found the commercial to be personally insulting have a lot of introspection to do. I didn't find it insulting at all. Why are you so sensitive, guy? If you're a garbage person who happens to be a man, you can either fix yourself in a truly masculine way (and Gillette proposes to help you do that, rather than just stand afar and trash you) or you can keep being garbage. Either way, I'll keep going down the path that my father raised me in. Ludwig doesn't use any Gillette products and he won't be using them after this, either. He uses electric shavers for his shaving needs, but Gillette is more known for manual razors. If you disagree with the premise of this article, feel free to say whatever you want in the comments section. If you agree with the premise of this article, feel free to say whatever you want in the comments section. And if you don't have an opinion but just want to say something... why exactly weren't you convinced one way or another? Ask some questions in the comments that will help you get an opinion, and Ludwig will reply to them! Follow-up on Morton being screwed up. I could not see how this ad was so offensive to so many men unless they were looking to be offended. I could see some disliking for its use of social commentary to sell a product, but for the most part the majority are attacking the message instead. Furthermore, the comments on this particular video are some of the worst of what humanity has to offer. I'm glad to know that you also took the reasonable stance on this topic. It's rare that KoopaTV is deemed to have a reasonable stance on anything.